We provide much more than just the drawings for your home. we can provide a tailored solution to meet your needs, which you can be as involved in, or separated from as much as you wish. If you choose to have a full service, we can take you through the entire project, to completion or work with you only on the services that you wish for. Call us for a free consultation, which can be carried out on the phone or face to face. Consulting us at the earliest stage will allow us to gain a real feel for your needs so that together, we can establish a clear brief and a realistic budget. This will help reduce the overall design costs and help minimise any potential problems early on. The first thing we will do with you is identify what your needs objectives and visual goals are for your project, this allows us to understand what your aims are, and analyse how best to go about achieving this. We shall also look at the constraints that you may have on achieving your goals and how to overcome these. You will want to consider our questions for you in "Get the brief right" taking a snap shot of your wants for the project. 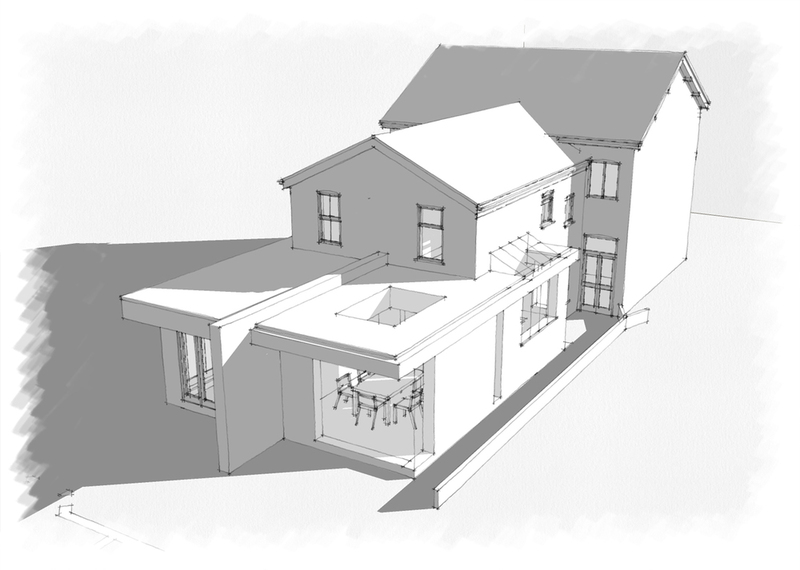 We then go on to undertake a survey of your property, this will take a minimum of a few hours, and it allows us to visualise how best to achieve your goals whilst completing this, and again whilst producing the plans and elevations as existing. (example) We may then go on to further develop the design brief and to assess the options available in order for you to access how to proceed i.e. if the project would benefit from pre-application advice, topographical or ecological surveys. Once planning permission is approved we move on to the preparation of technical design and specification, We do this in two stages. Production information - Preparation of production information in sufficient detail to enable an Application for building regulation approval / statutory approvals. 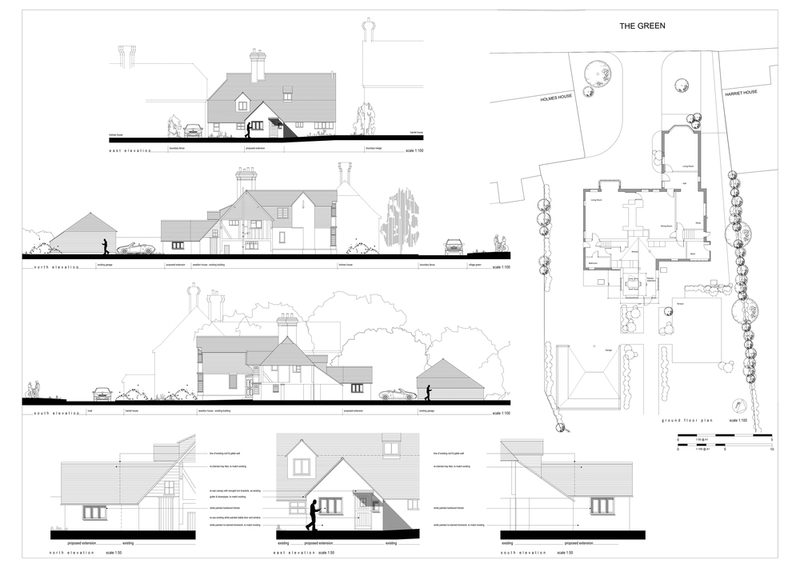 At this stage the drawings could be used to gain budget costs for the scheme should you wish. The services of a Structural Engineer will almost certainly be required to complete calculations and the structural design for the scheme. Please note their, and all other professional fees required, are separate from our own. Preparation of further information for construction required under the building contract, in sufficient detail to enable a tender or tenders to be obtained. Here we like to complete a Post occupancy review, reflecting on the Design brief with the finished outcome. Posted on September 5, 2013 by Ben Mainwood and filed under Architects, Architects drawings, Design Brief and tagged architect questions architect process building process building sequence.